Check out more pictures from the 2015 River Cruise. 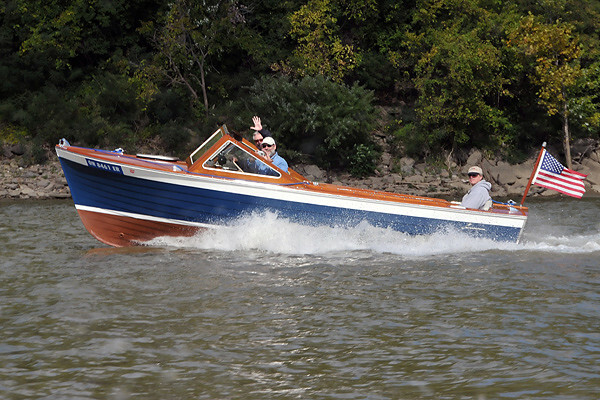 A wooden beauty playing on the Ohio River at one of our local regattas. What do you call a pack of Lymans playing on the Niagara River? Bill Mack and his grandsons Kyle and Colin enjoying their 1941 17 foot Islander on the Niagara River. 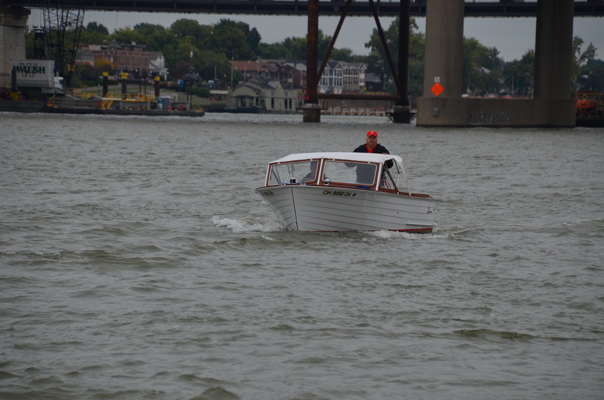 One of our smaller Lymans was captured riding along the Ohio River with the beautiful Cincinnati skyline in the background and the famous Suspension Bridge just behind. You can find out more info about the winter meeting in the newsletter here. Need directions to the meeting click here. 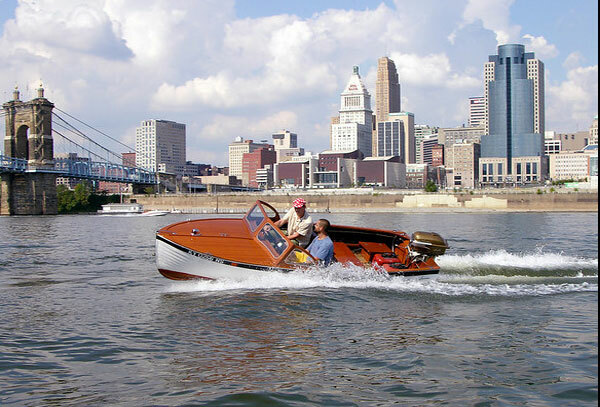 We are an organization of people from Southern Ohio, Northern Kentucky and Southeastern Indiana with a common enthusiasm for antique and classic boats. 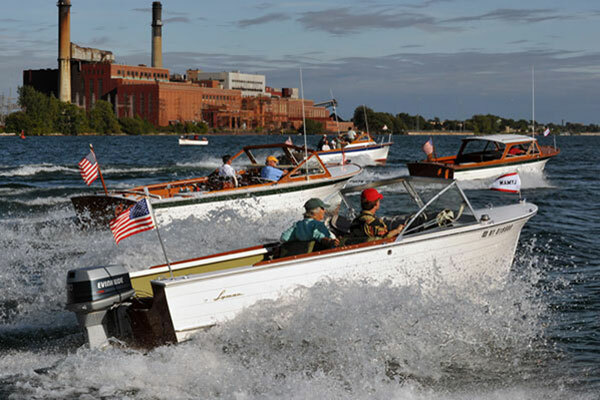 We provide a unique forum in the tri state area for the exchange of information about the history, preservation and restoration of these boats with an emphasis on enjoying them out on the water and the camaraderie among our members. 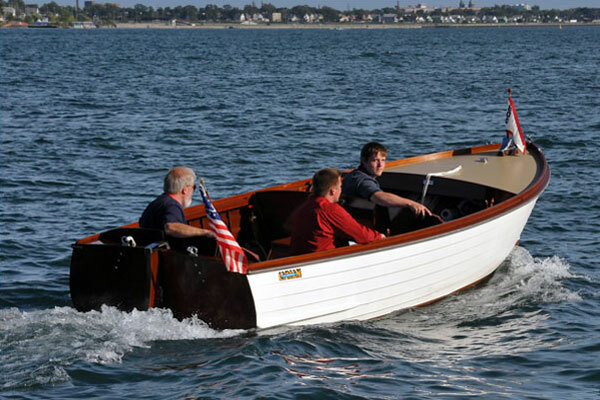 In short: We love classic boats! Come join in the fun!